LIU Hudson and the Penguin Plunge share more than a connection to the Hudson River, we both want to help people and we are so appreciative that LIU Hudson has been part of the Penguin Plunge family for the past four years. 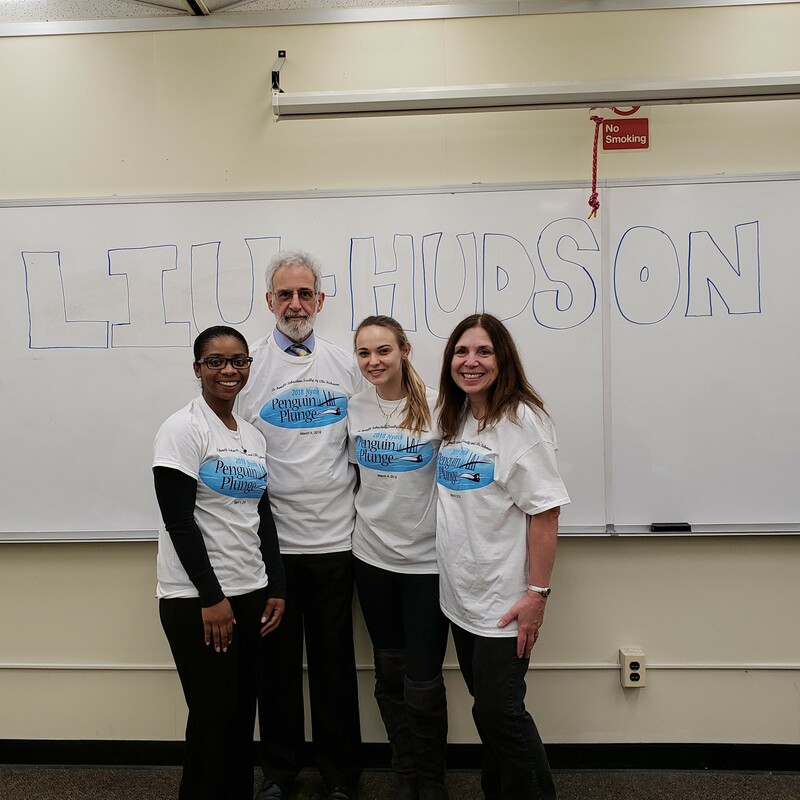 In 2015, Dr. Tom Nardi, a professor at LIU, reached out to offer the support of the LIU Hudson Counseling Honor Society. These graduate students, who are studying for advanced degrees in education, business administration, school and mental health counseling, public and health administration, and pharmaceutics, have taken time from their studies to help the children of the Penguin Plunge. The LIU Hudson Honor Society has raised funds and awareness through donations and bake sales on their campuses and this year, have even personally plunged into the wintry waters of the Hudson. The Penguin Plunge would like to thank them for their support for the families of these children that they have helped. We know that through the career path they have chosen, they will continue to aid people in having a better life. The students this year include Monique Thomas, Caitlin Mertz, Alana Cohen, David Espinal, Vincent Walker, Nicole Ramirez, Amanda Suber, Juliet Leight, Paul Ferrante, Amy Colella, Katie Conroy, Tyler Baccello, Tziporah Nockenofsky, Brittany Dobson, Nicole Pepe, and Lydia Tessaro. Thank you so much for your generosity.